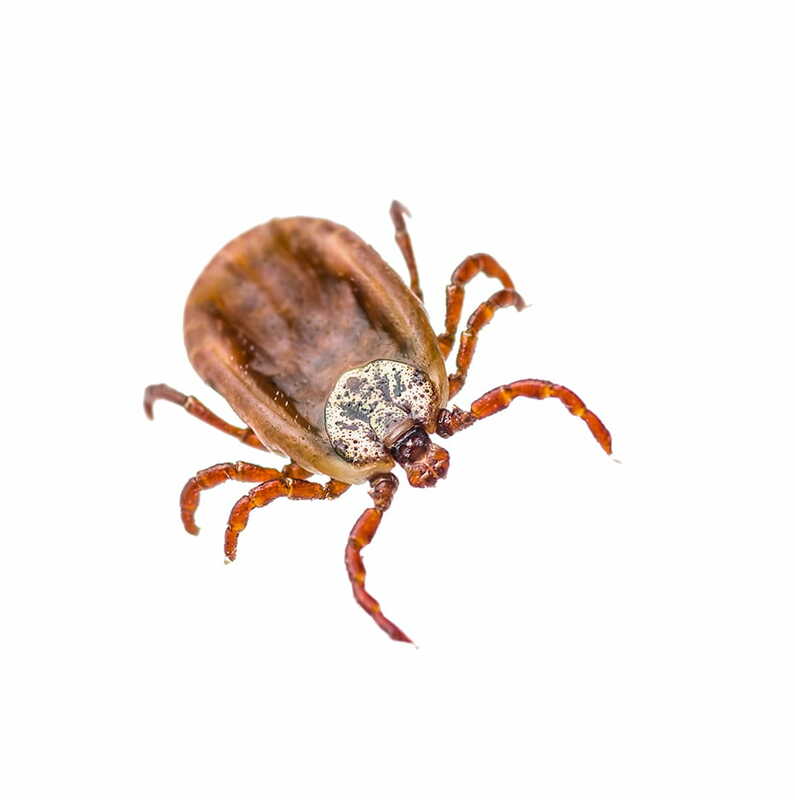 Black Legged Ticks are one of the most well-known pests related to Lyme disease–an illness that can be debilitating if not diagnosed in the early stages. Ticks are usually reddish-brown to black with a flattened body in tear drop-like form. They are one of the most well-known pests related to Lyme disease–an illness that can be debilitating if not diagnosed in the early stages. Ticks are usually reddish-brown to black with a flattened body in a tear drop-like form. These eight-legged pests are only about 3 mm long but can increase in size up to 13 mm after feeding, changing to blueish-gray at the same time. Their bodies are divided into two primary sections: the anterior capitulum (or gnathosoma), which contains the head and mouth parts; and the posterior idiosoma which contains the legs, digestive tract and reproductive organs. Ticks are classed by body structure: soft ticks and hard ticks. Ticks in the Ixodidae family have a hard outer covering, called a scutum. Soft ticks – those without a scutum – belong to the Argasidae family. Widely known around the world, they flourish most in countries with warm, humid climates which allows them to undergo metamorphosis. Low temperatures inhibit their capability to go from egg to larva. They can be found in areas where woods and fields meet lawn, around tall brush/grass, near stone walls and woodpiles where mice and other small mammals live, under plants or leaves to prevent dehydration and of even, on pets. After feeding, an engorged female will leave the host and search for the perfect location where she can lay 1,000 to 3,000 eggs. 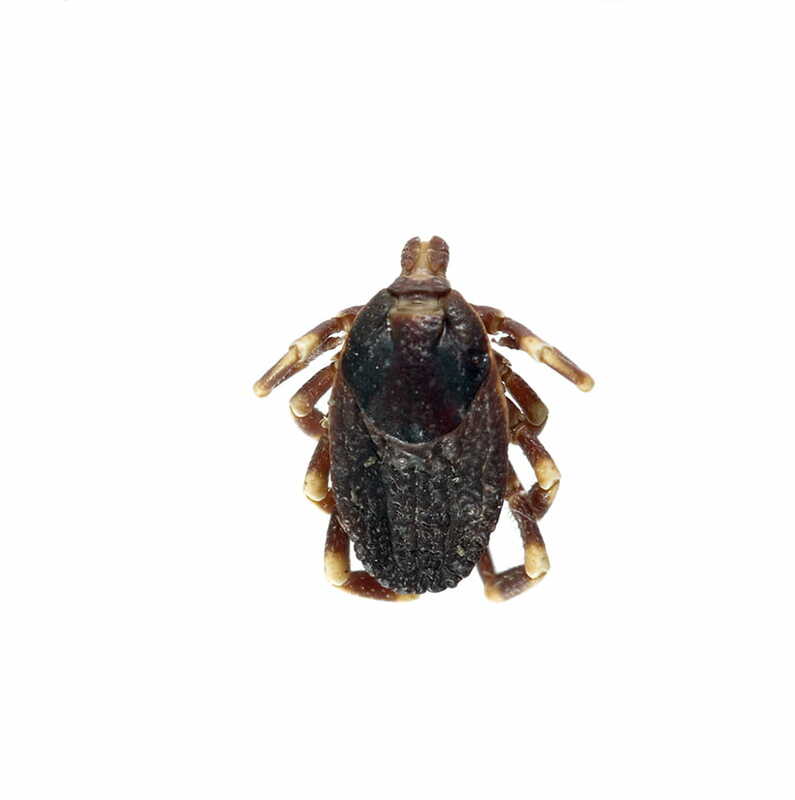 Ticks do not lay eggs on humans or on any other animals; depending on the type of tick, it may lay the eggs on the ground in protective areas or if indoors, oftentimes, they will search for cracks and cervices in baseboards, window and door surrounds, furniture, edges of rugs, and curtains and around wall hangings and ceilings. Once the eggs are laid, the female will die soon after. After 19 to 60 days, the eggs will hatch, and six-legged larvae will then move to a host to feed on. Once they latch and feed, they will molt into eight-legged nymphs, which in turn will molt into adult ticks. Depending on the species of tick, the entire life cycle can take from two months to years to complete. There are usually two to four generations per year. Adults can live unfed for up to 18 months. Are ticks hazardous to humans? Yes. 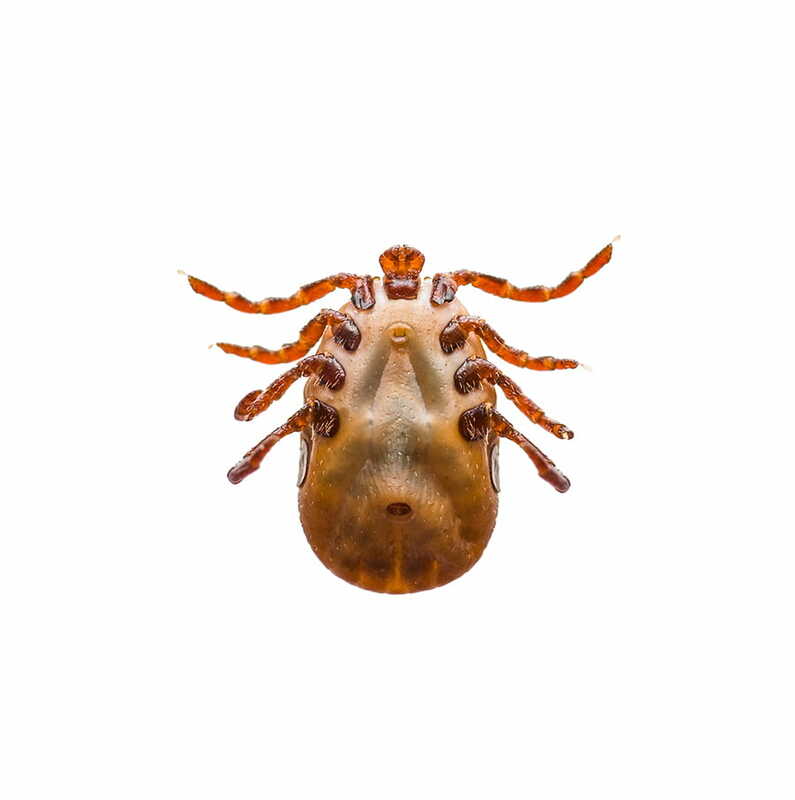 Black Legged Ticks are one of the most well-known pests related to Lyme disease–an illness that can be debilitating if not diagnosed in the early stages. When are ticks most common? Ticks are most common during the spring/summer months as that is when people begin to spend more time outdoors. How can you prevent ticks? There are several tips to consider before heading outdoors. When going for a walk or becoming in contact with livestock, to wear light colored clothes as these make them easy to spot. Tuck your pants inside your socks or wear tall boots to cover your ankles. To control ticks indoors, vacuuming is very effective. Pet bedding and resting areas should be given special attention.